I am a professional Force-Free Dog Trainer and a dog lover with all my heart. I share my training philosophy not only with my customers, but also with the next generation by educating children about dog behavior, good communication, and healthy partnerships. As a firm believer that raising dogs and observing their behavior can teach us many important life lessons, I decided to write a series of rhyming books for children which use dogs’ world to share with a younger generation valuable life lessons. 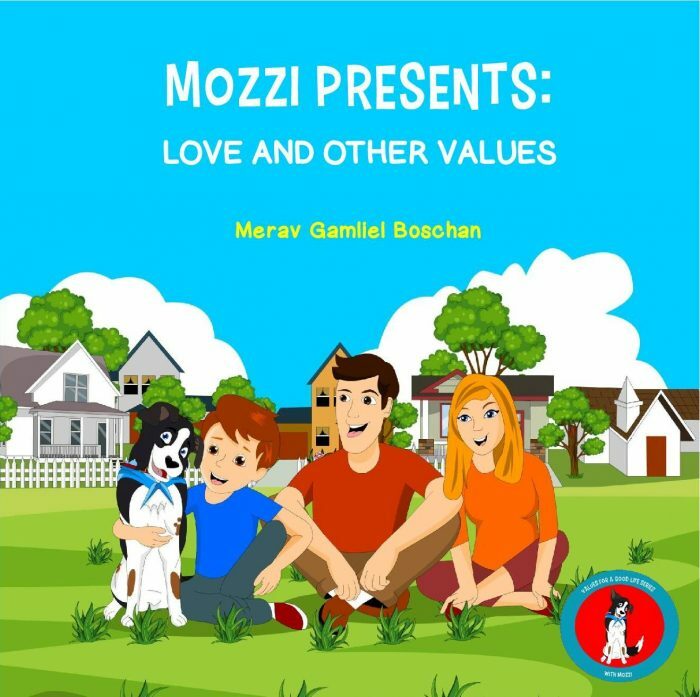 Thus, Mozzi was born, along with this new series of books-“Values for a Good Life”. My protagonist is an adorable dog named Mozzi- a mixed breed dog, with a loving look and a nose in the shape of a lovely heart. I wanted to create an affectionate dog character that most of the children would love. Showing their feelings without any shame. It’s like the best day of the whole family’s lives!